The annual Elearning Guild’s DevLearn Conference & Expo was recently held on November 18-20 in Las Vegas, Nevada. DevLearn is the premiere event in the Learning & Development industry and one I anticipate the most. Three days of learning together with friends and colleagues by discovering new techniques, products and innovative technologies. 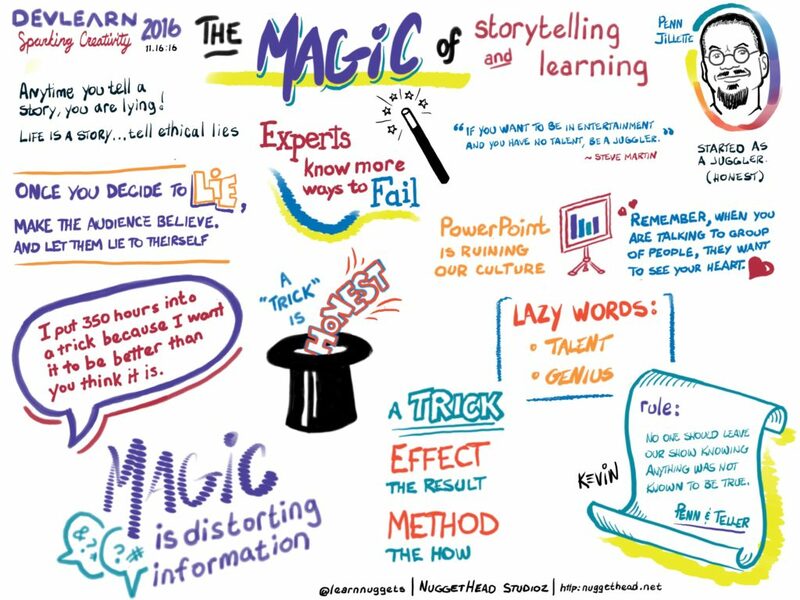 DevLearn is also a great place to practice your sketchnotes! 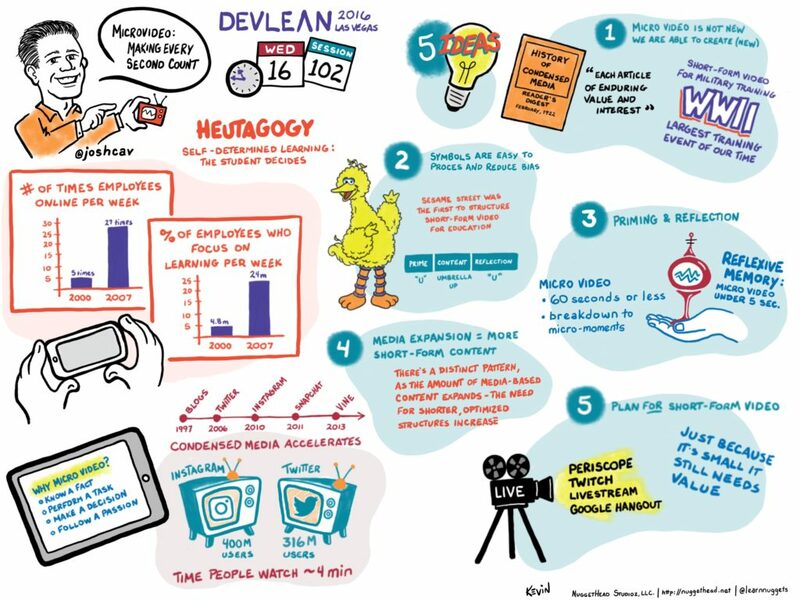 As an avid sketchnoter and graphic recorder, I’m always excited about the keynote lineup at DevLearn. 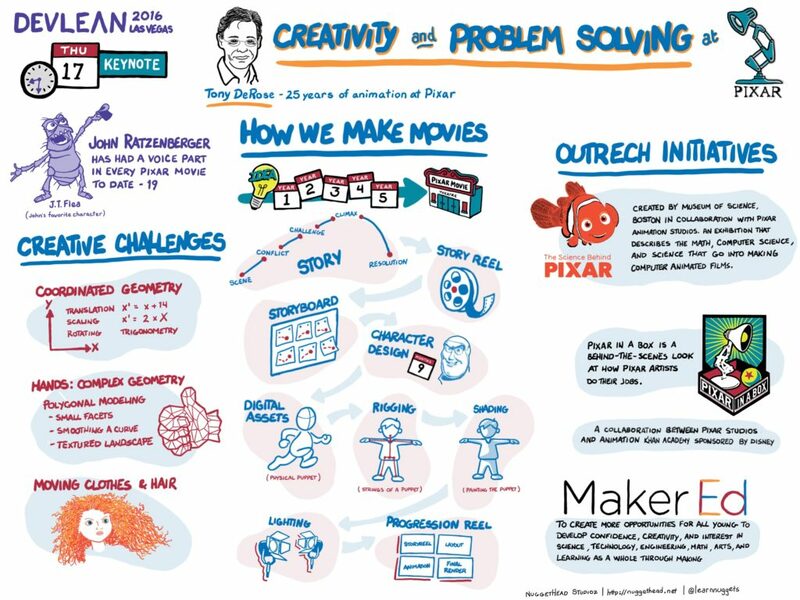 While I would love to do sketchnotes of every session, I try to focus on the keynotes based on my schedule and one or two concurrent sessions. This year I was able to capture two keynotes and one session. By combining the craft of sketching and dedicating more time to post-production for details, I used the Procreate app on iPad Pro which records the entire process. These are more detailed than typical with a few hours from the initial sketch to final product. Nonetheless, I enjoyed making them and hope you enjoy them too! Below are the final renderings and videos recorded from Procreate. Like any skill, practice equals proficiency. I still have a weakness of trying to capture too much and worry about visualizing rather than simply listening for key concepts. Efficient, these are not due to the post-production time. Keep practicing, right? !